This just in — the new Artistic Director of Edinburgh International Film Festival has been named as Chris Fujiwara. This strikes me as EXCELLENT news. 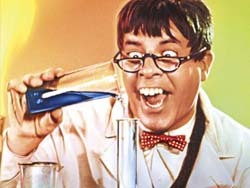 An excellent critic and author of works on Jerry Lewis (pictured), Jacques Tourneur and Otto Preminger. That’s the retrospectives back on the table then. This welcome bombshell is accompanied by the news that Gavin Miller is stepping down as CEO of the Centre for the Moving Image, the Festival’s governing body. I’m going to pour myself a beaker of blue stuff and celebrate. Blind Tuesday: Where is love and who turned out the lights? An obscure one — I’d never heard of MADNESS OF THE HEART until I stumbled across it. 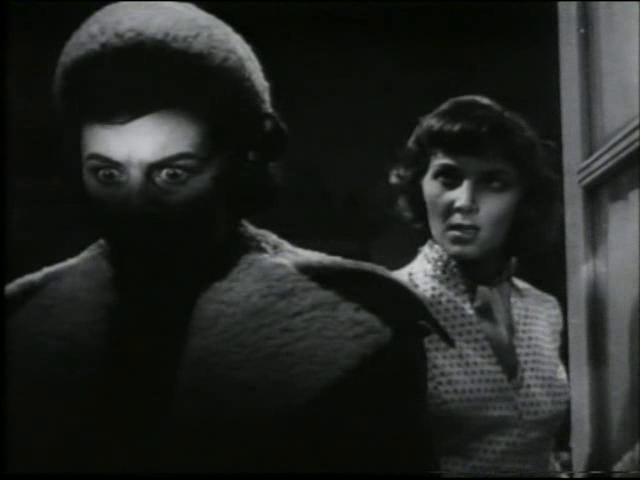 It has no reputation, but it does have points of interest: it’s written and directed by Charles Bennett, who collaborated on a half-dozen or so key Hitchcocks between BLACKMAIL and FOREIGN CORRESPONDENT (including most of the late-thirties espionage cycle, all reviewed elsewhere on this site as part of Hitchcock Year) and also adapted NIGHT OF THE DEMON for Jacques Tourneur, incorporating a number of Hitchcockian ideas, including the master-villain with the sweet, doddering mum. 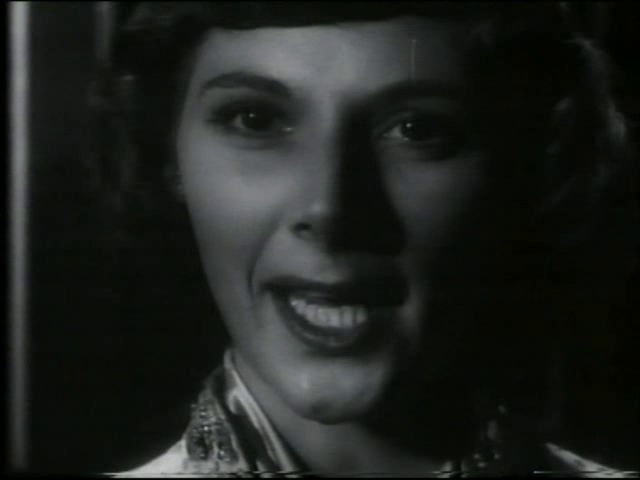 And then there’s Kathleen Byron, reprising her mad love act from BLACK NARCISSUS, only with a cod French accent. Powell told her that Sister Ruth was a great part, the only problem being she’d never get a better one, and he was right. So basically repeating the role here seems a reasonable option: it beats Freddie Francis’s CRAZE. Spoiler alert! The next paragraph contains plot details written in invisible ink: highlight to read. A daft plot twist allows Lockwood to cure her blindness and return, faking it, in order to entrap her unseen enemy. This frustrates one of the best tropes of the blind person in jeopardy thriller, which is the disabled character triumphing over both unspeakable evil and their own disability. In fairness, this convention isn’t set in stone and hadn’t really been established at this time: WAIT UNTIL DARK really fixed the template. But when you see it done decently, it’s satisfying in obvious ways that alternatives, like the boyfriend barging to the rescue in SEE NO EVIL, really aren’t. Oddly, Bennett directs this one better than he writes it, but he’s dealing with a cheap novelette as source material (ugh! that title!) and struggles to inject real humanity into it. 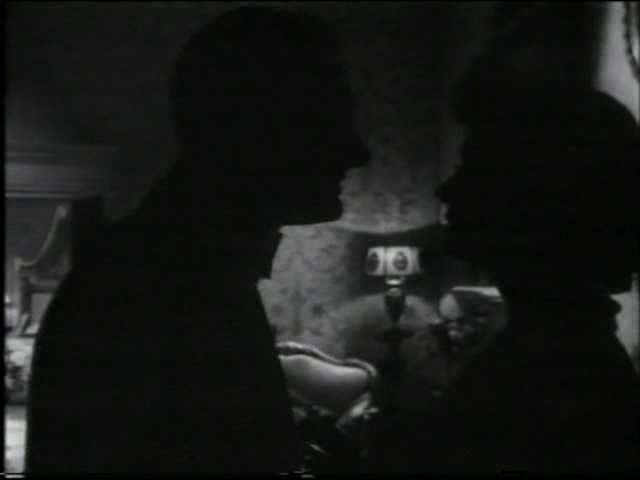 On the other hand, his filming is often stylish, aided by Desmond Dickinson’s moody photography. Listening to Fiona’s extremely zestful reactions to Byron’s acts of wickedness against her sightless rival (from repositioning a wine glass to attempting to arrange a drowning), I was struck by how films like this encourage a complicity with the bad guy. At times, Fiona was virtually egging the madwoman on. This wasn’t due to any dislike of Lockwood, who embodies pluck, but simply because in a film like this, nothing entertaining can happen unless the villain is plotting villainy. 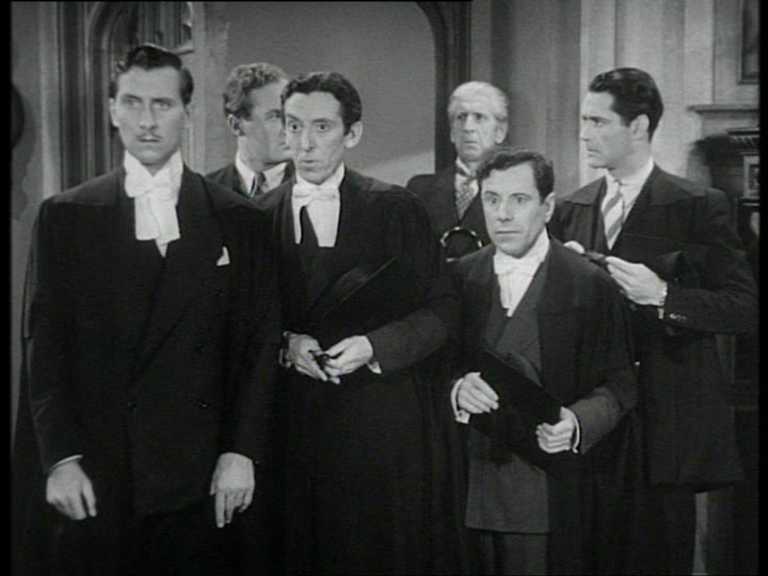 If the supporting cast were full of amusing bit players, there might be some welcome distraction from the main event, but asides from Thora Hird as a no-nonsense maid, there’s nothing doing. So we require constant perfidy from la Byron or the thing is going to just lie there. Kathleen in a saucy two-piece, something I never thought to see. Fortunately, K.B. does not disappoint, seizing one of her last chances to be interesting in a dull film. No act of spite is too petty for the ironically named “Verity”, who amusingly goes from leaving sharp objects near the maid’s baby so Lockwood will get the blame, straight to murder attempts, then back to faking love letters (to a blind woman? ), and back to murder again. In this she’s aided by the château’s offscreen architect, who for some reason has supplied the building with a door opening onto a fifty foot drop. Perhaps the castle was assembled from a kit, like the Keaton homestead in ONE WEEK? There’s also the sad fact that she was apparently a little difficult, as talented people often are. With the supremely difficult Michael Powell around to help her, that didn’t matter so much, but when they were no longer an item and his career was on the slide, that impetus was gone. (BTW, she always said Powell’s description of her, in his memoir Million Dollar Movie, standing naked and threatening him with a revolver, was sheer confabulation.) And nobody else owed her sufficient goodwill to help. That was stupid: with the Rank Organisation embracing sappy bourgeois mediocrity in the ‘fifties, British cinema really needed a fierce talent who could heat up a moribund flick with a dash of hellfire.